These exquisite refillable oil candles are hand chiseled from granite and other natural stones. The polished top reflects the flickering flam adding ambiance for any occasion. Our candles are designed with fiberglass wicks to last a lifetime and can be used indoors or outdoors. Enjoy your next glass of wine in style! 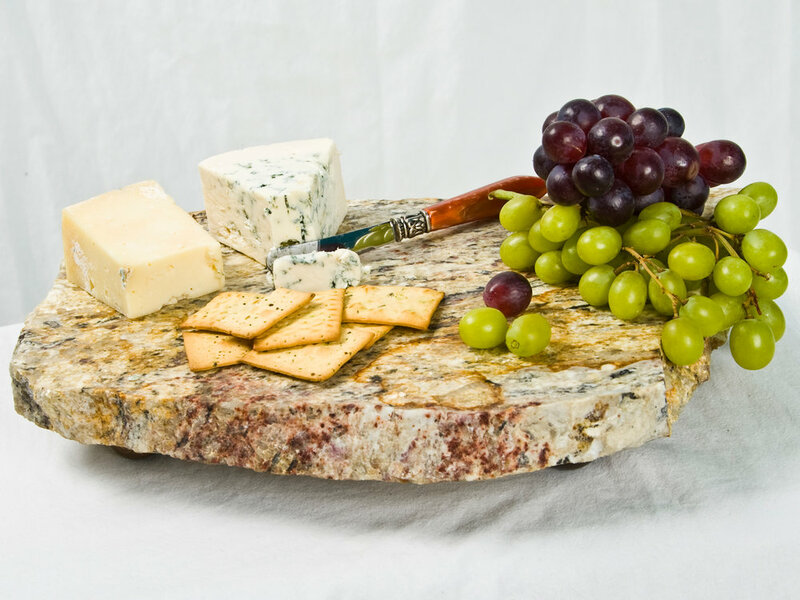 Each base is made from different colors of granite making each glass unique, and the glass also serves as a wine glass marker. The perfect gift for yourself as well as your friends and family. These stones make an impressive statement when entertaining or as home decor. Each piece is artistically designed to bring out the natural characteristics of the stone. Serve your appetizers, cheeses, sushi, etc. 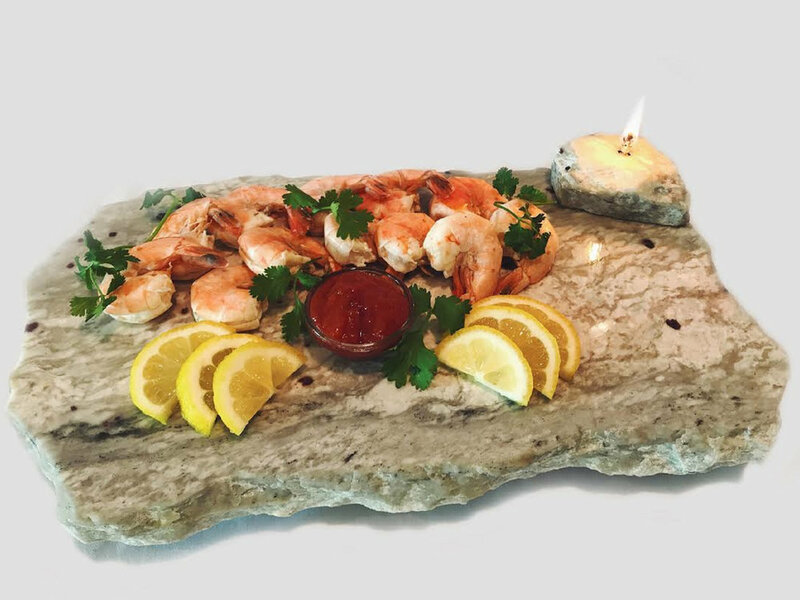 on your gorgeous granite platter that you can heat or chill. To serve WARM appetizers, place votive holders under each wood leg to raise stone. Place a tealight in a holder, light, and position under desired area to be heated. Serve CHILLED appetizers by placing your stone in the refrigerator for 30 minutes or longer. It is safe to cut directly on our stones and they can be sealed to resist stains. Many of our customers love being able to leave a decorative cutting stone next to their kitchen sink for daily use. They are very easy to clean using dish soap and water. Our pieces are also an excellent accent in bathrooms to place soaps, lotions, perfumes, and candles. Impressive functional art with many versatile purposes - dining, serving, art displays, plant holders, and more. Add a touch of class to your next dinner party and serve in style. Hot dishes can be served directly on stone surface. Our candle model is an elegant enhancement and may be used outdoors. The center candle is removable to accommodate your patio umbrella.